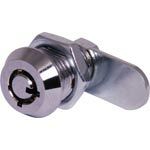 This product has been viewed 904 times. 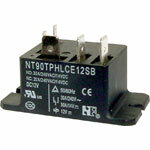 The S 4442 is a handy relay board fitted with 12V (S4136) relays. Two sets of changeover contacts are provided. 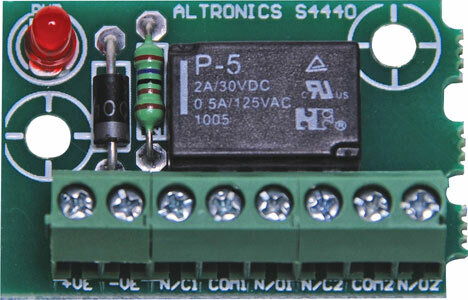 An on board LED illuminates when the relay is activated. Size: 170W x 22.5Dmm. 3.2mm hole size. 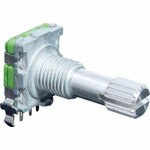 For 5 way "snap off" strip relay board see S 4443. 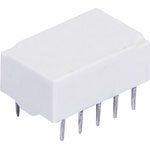 For 5V operation use S 4440 board. 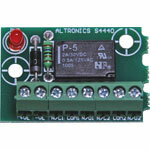 For 24V operation use S 4444 board.